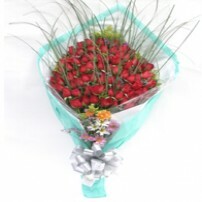 Inspire that special someone with this beautiful box of roses, which will surely have them thinking about you all day. This exclusive gift will elegantly express all of your feelings. 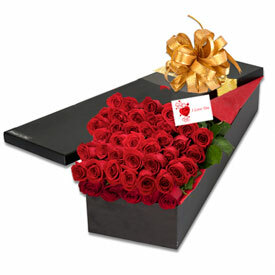 Roses in a box and a greeting card. Approximately 24” W. x 20” H.
Choose the color of your roses.